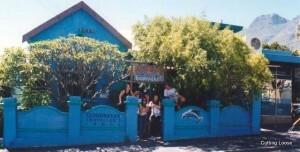 It was the whimsical name – Cloud Break Backpackers Lodge – that decided my choice of accommodation in Cape Town. Nestled close to the base of the Table Mountain, and not too far from the trendy V&A waterfront, the lodge offered splendid views of the Table Mountain from across a little garden. Each morning, I awoke to the sight of the mountain covered in its trademark “table cloth”. Come evening, the same craggy façade lit up with gazillions of strategically placed focus lights that cloaked it in mystery. In fact, my favourite travel anecdote about South Africa also transpired atop this singular, flat-surfaced mountain in the world. 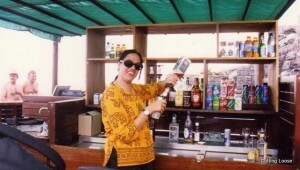 Not far from the alighting deck of the cable car is situated an open air bar counter. On that fateful visit, it was being manned by a rather glum bartender. Queries brought forth a litany of woes and in a weak moment (maybe it was the chilled beer) I offered to tend the bar for him, an offer he hastened to accept. So there I was, after a quick refresher on the contents of the bar, pouring out measure after strong measure to milling crowds on top of the Table Mountain…the entire day. Another day found a few of the other backpackers and yours truly at a place called Fatboys. An enormous nightclub, it was spread over many levels, with as many music consoles and dance floors. Packed to the gills, reverberating with loud music, the club was evidently the choice of every tourist, and local, in Cape Town. The reason: free alcohol, as long as you bought yourself a tumbler to drink it in. The catch: trying not to lose the tumbler. And how difficult can that be, you ask. Very difficult, actually, for, as the night progressed, it became abundantly clear that a tumbler could be knocked, nudged, shoved, bumped, or simply grabbed out of your hand. A slightly less “spirited” experience, but with a decidedly higher kick, took place at the Drum Café. 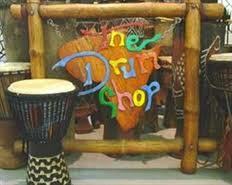 This club is done up in true African flavour and hires out djembe drums to those interested in learning to play. My initial desultory lessons under the guidance of a friendly Rastafarian gradually developed into a pressing desire to be one with the powerful rhythms of West African songs. An unbelievable feeling, once you get over the stinging palms, that is. 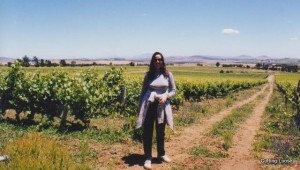 But then, that’s where the wonderful wines of the region came in handy, literally. My first ever wine tasting tour took me to the wine lands around Stellenbosch, one of the oldest towns in the Cape region. Not only does this area claim the finest vineyards owing to its near-Mediterranean terroir, it also showcases some of the finest examples of Cape Dutch architecture. Clubbed together with this bacchanalian jaunt was a visit to a cheetah farm. A stroke of genius, I have to say. Clearly, not a soul would be willing to bell this cat sans generous doses of Dutch courage!